The snowy peaks of the Monte Cristo region can be seen from the Everett area. 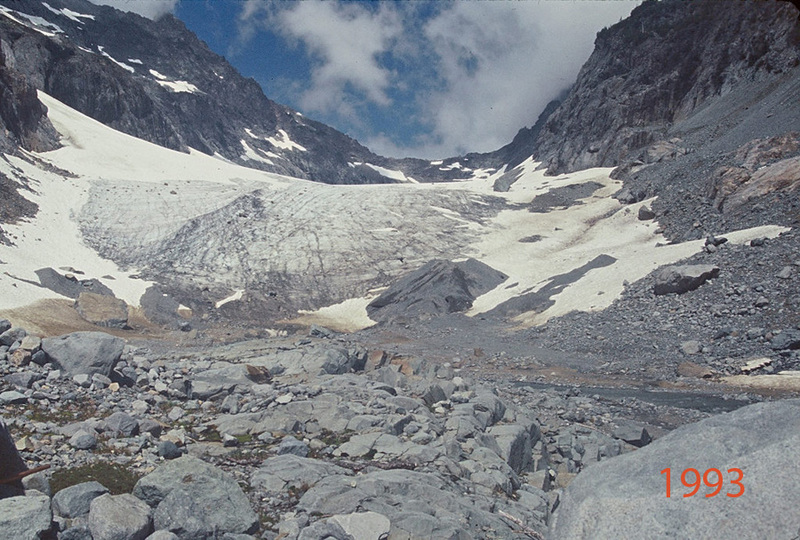 With 30 glaciers many at low altitudes, this region may receive more snow than any other region in the North Cascades. 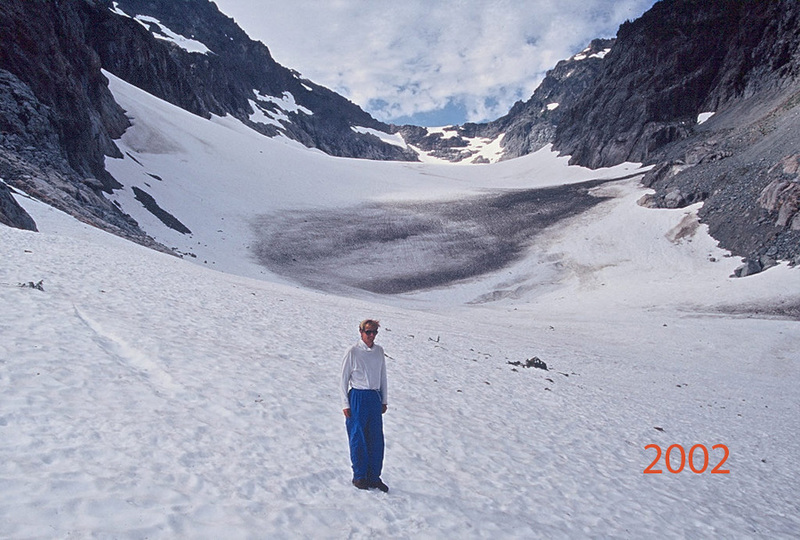 The largest is Columbia Glacier occupying a deep cirque above Blanca Lake and ranging in altitude from 4600 to 5700 feet. Kyes, Monte Cristo and Columbia Peak surround the glacier with summits over 2000 feet above the glacier. 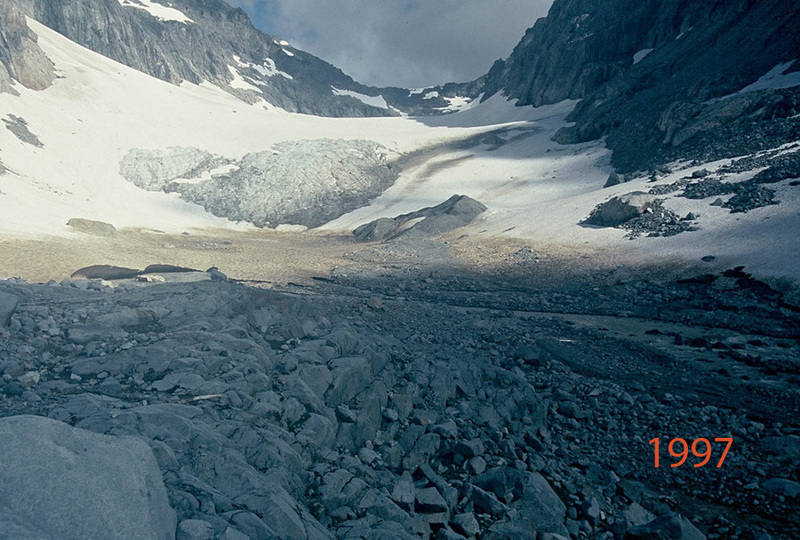 It is amazing to see such a large glacier, whose highest elevation is lower than the terminus of any glacier on Mt. 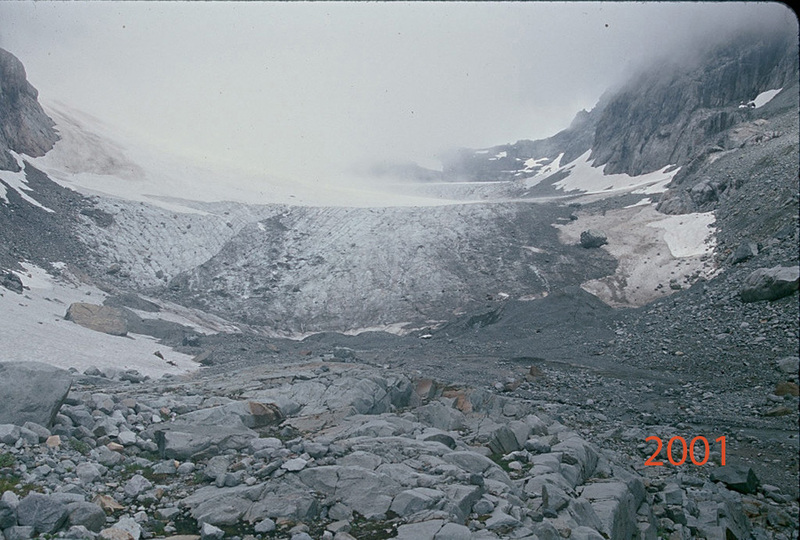 Daniels, or in the Stuart Range. The Monte Cristo range is the first major rise that weather systems coming off the ocean encounter on the way east to the Cascade Crest. As a result precipitation is heavy. 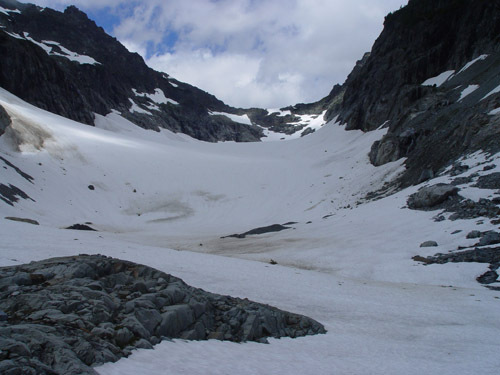 During the summer if it is raining anywhere in the North Cascades it will be in the Monte Cristo region. 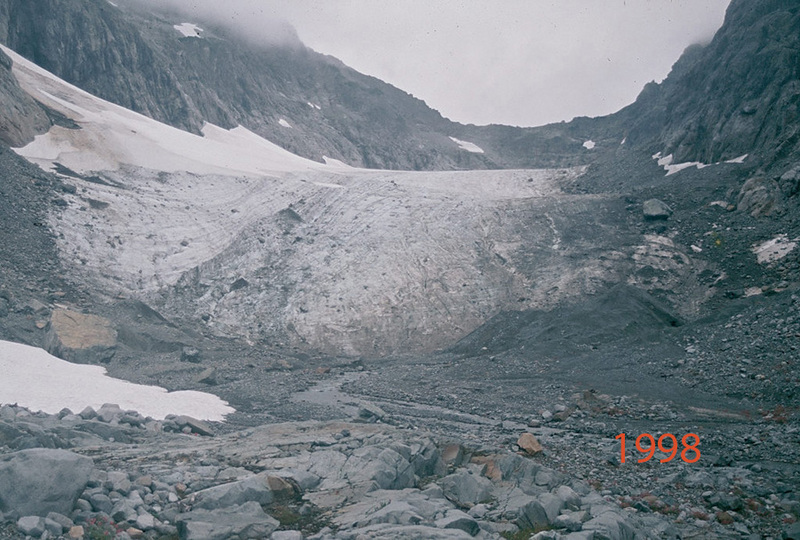 The glacier is the beneficiary of heavy orographic lifting over the surrounding peaks, and heavy avalanching off the same peaks. 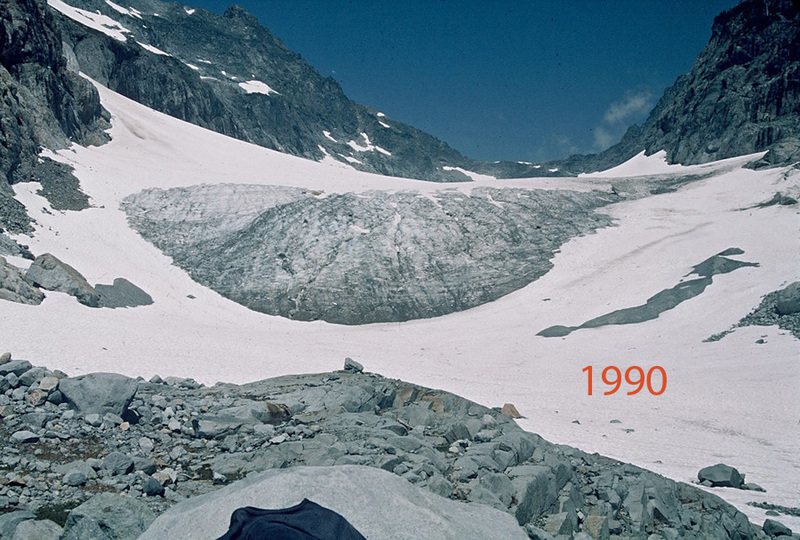 Columbia Glacier has retreated 134 m since 1984. 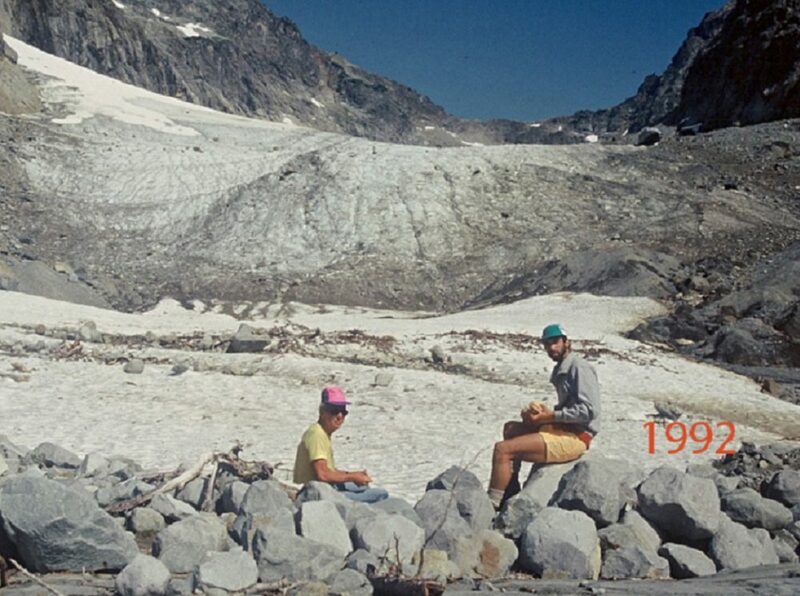 Lateral reduction in glacier width of 95 m in the lower section of the glacier and the reduction in glacier thickness are even more substantial as a percentage. 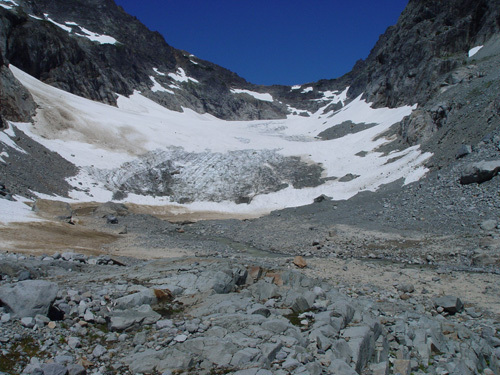 The major issue is that the glacier is thinning as appreciably in the accumulation zone in the upper cirque basin as at the terminus. 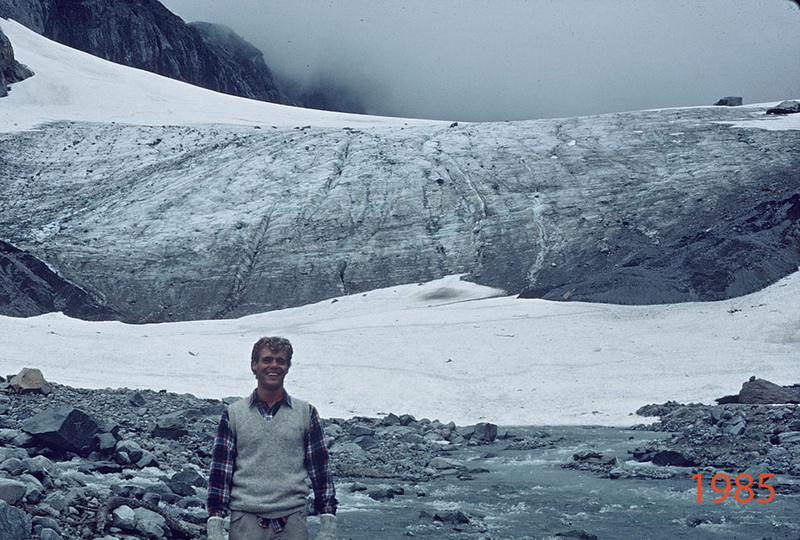 This indicates a glaciers that is in disequilibrium with current climate and will melt away with a continuation of the current warm conditions. 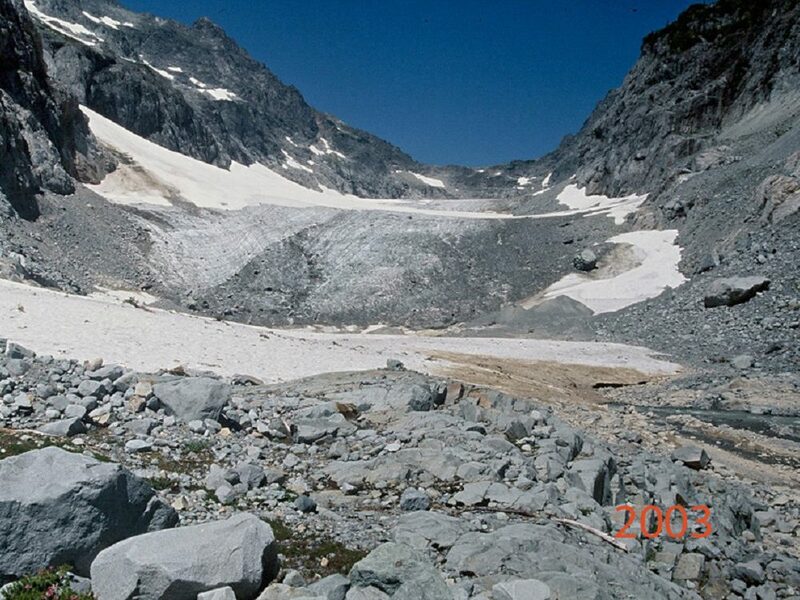 The glacier has lost 17 m in thickness since 1984, but still remains a thick glacier, over 75 meters in the upper basin and will not disappear quickly. 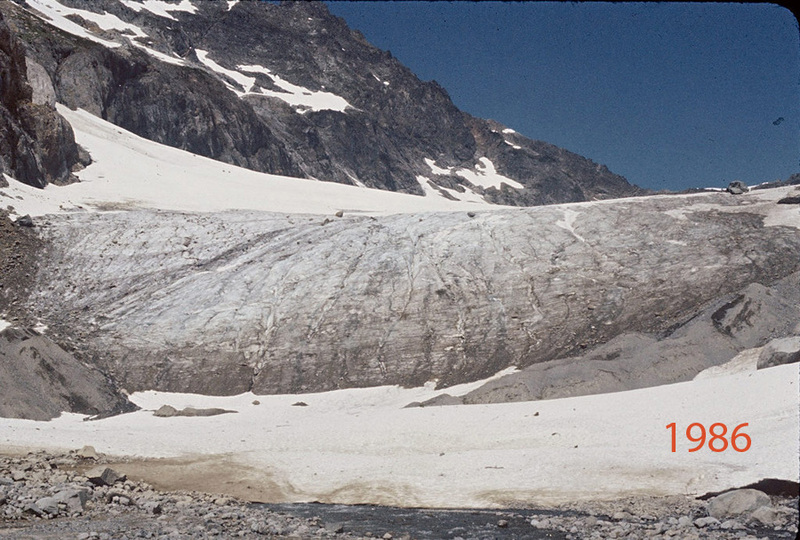 A lateral moraine deposited during the Little Ice Age, is visible at the western edge of the glacier, descending below the glacier to 4250 feet. This moraine has little vegetation on the inside, but is vegetated on the outside. 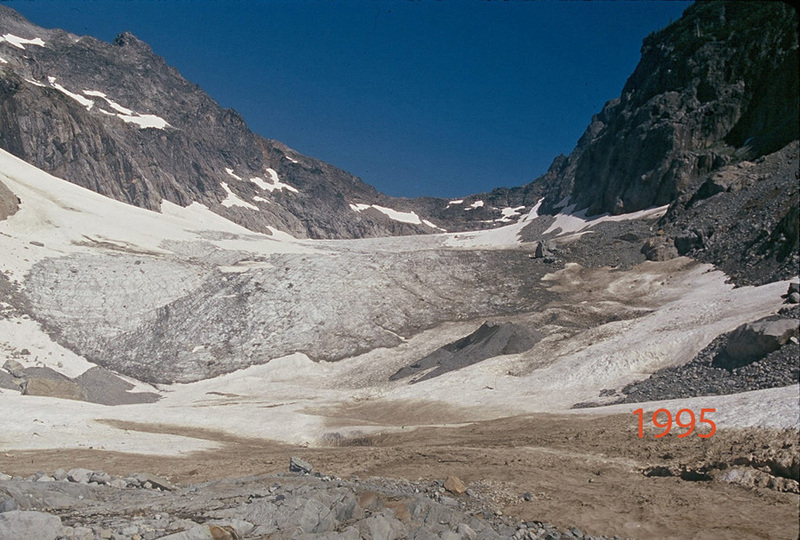 Just in front of the terminus are two terminal moraines deposited during retreat in the last 20 years. 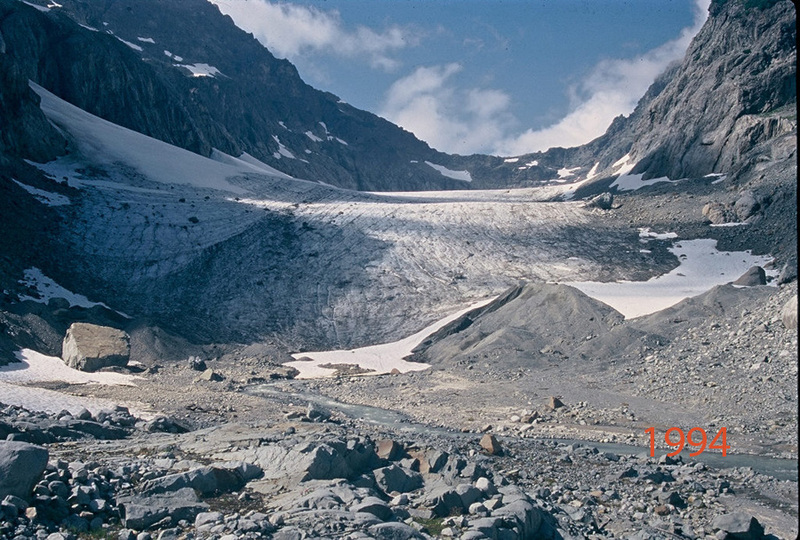 Facing southeast Columbia Glacier is protected from any afternoon sun except during the summer. During the winters storm winds sweep from the west across Monte Cristo Pass dropping snow in the lee on Columbia Glacier. 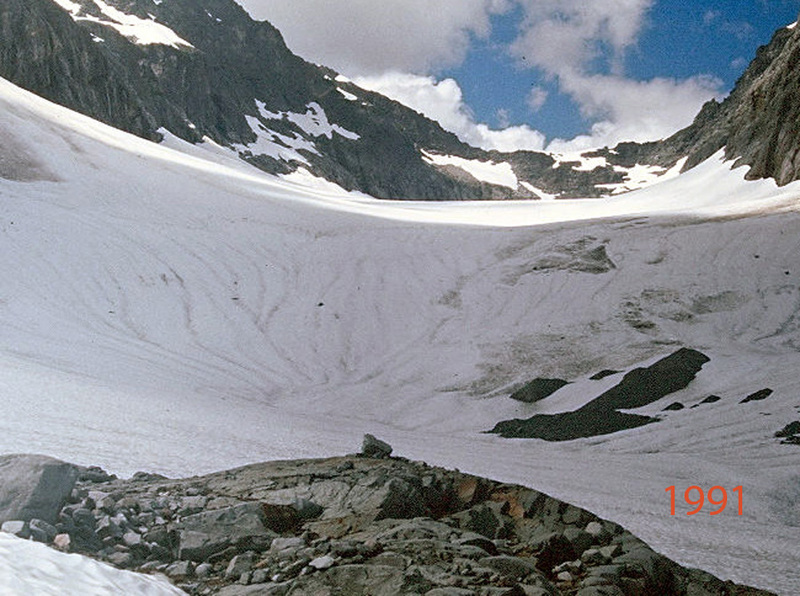 Avalanches spilling from the mountains above descend onto and spread across Columbia Glacier. The avalanche fans created by the settled avalanche snows are 20 feet deep even late in the summer. 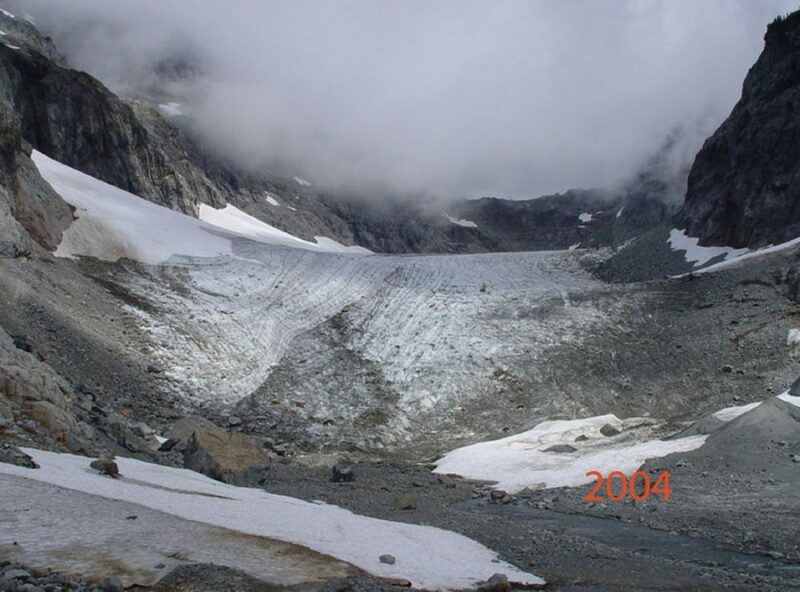 Nearly a third of the glacier is covered by avalanche fans, but no summer avalanches have been observed. 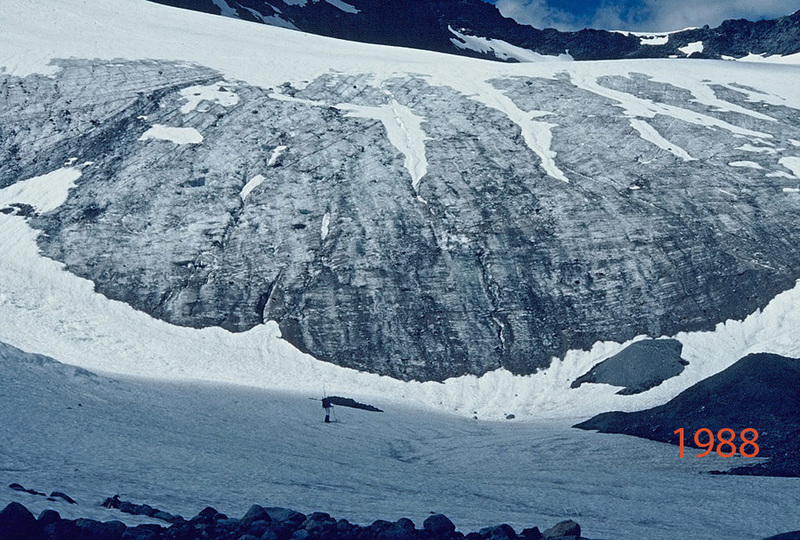 Avalanches, shading from the sum provided by the high peaks, and wind drift snow deposition permits Columbia Glacier to exist at such a low altitude. To reach Columbia Glacier turn off of Highway 2 and head toward Index following Road No. 63 along the North Fork Skykomish River to the Blanca Lake trailhead. Innumerable switchbacks take you 4700 feet up to the crest of a ridge. 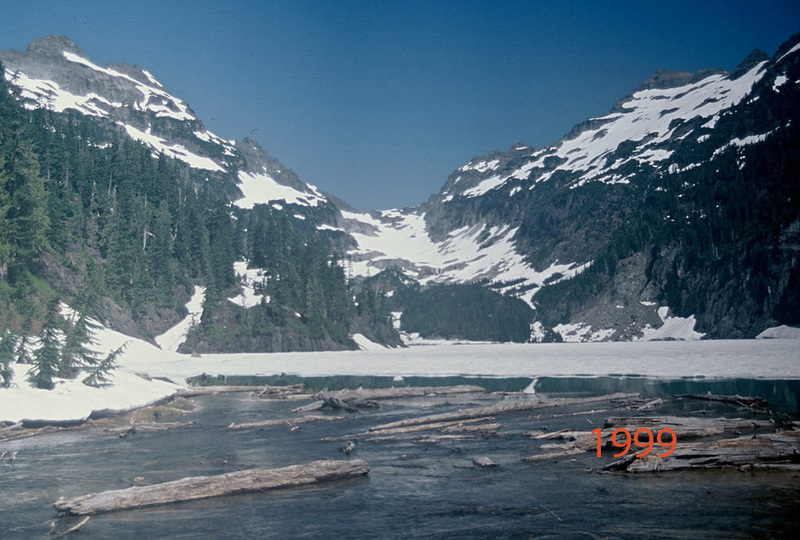 From this ridge at 4700′ you look through the trees down at the terminus of Columbia Glacier, one mile away across Blanca Lake. After descending 600′ to the lake, ford Troublesome Creek on the logjam, and follow a way trail around the west side of the lake. At the north end of the lake a large flat plain extends for a quarter of mile. Continue north across this plain, heading for a prominent vegetated lateral moraine. 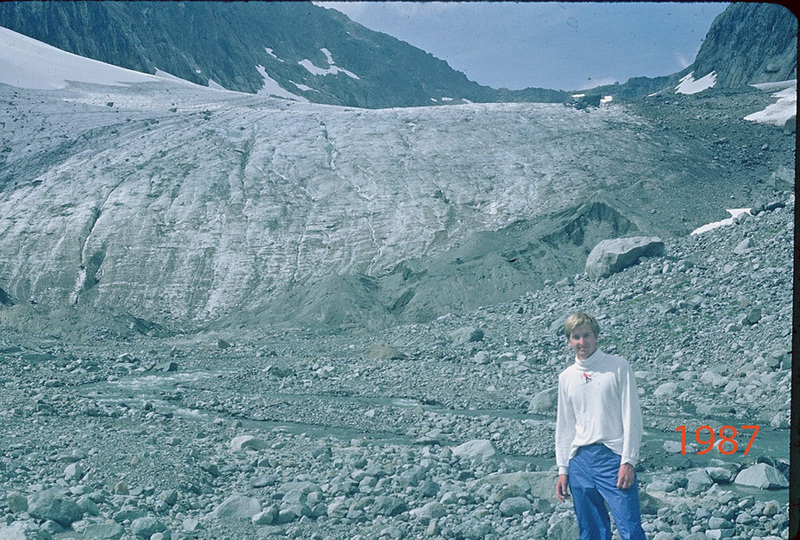 Follow the moraine to the bedrock ridge at its head, and then the glacier is there. 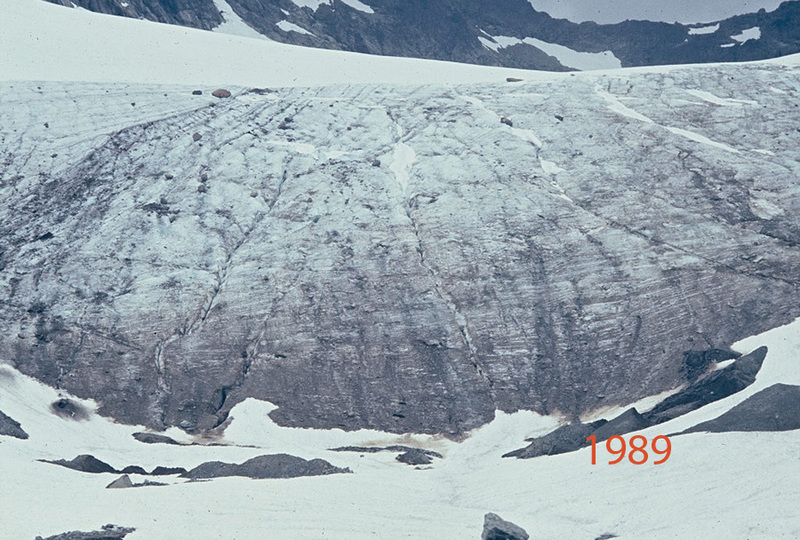 The east side of the glacier is a much more gradual slope. 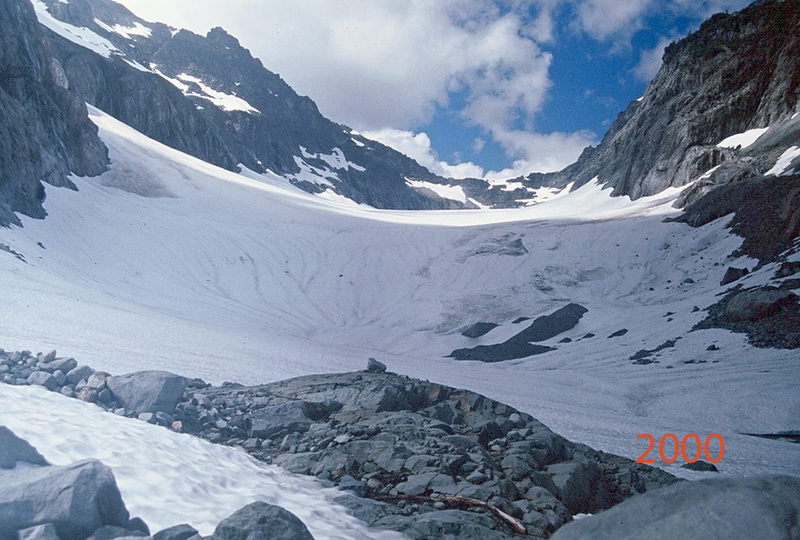 From the head of the glacier, a steep 300′ climb takes you to Monte Cristo Pass. This climb looks daunting but turns out to be surprisingly easy. 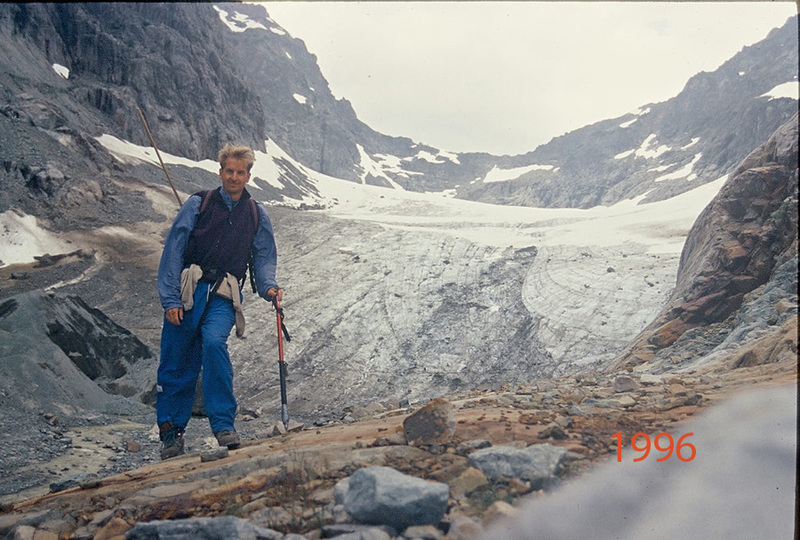 At Monte Cristo Pass you stand on the Willman Glacier and look down at Glacier Basin. 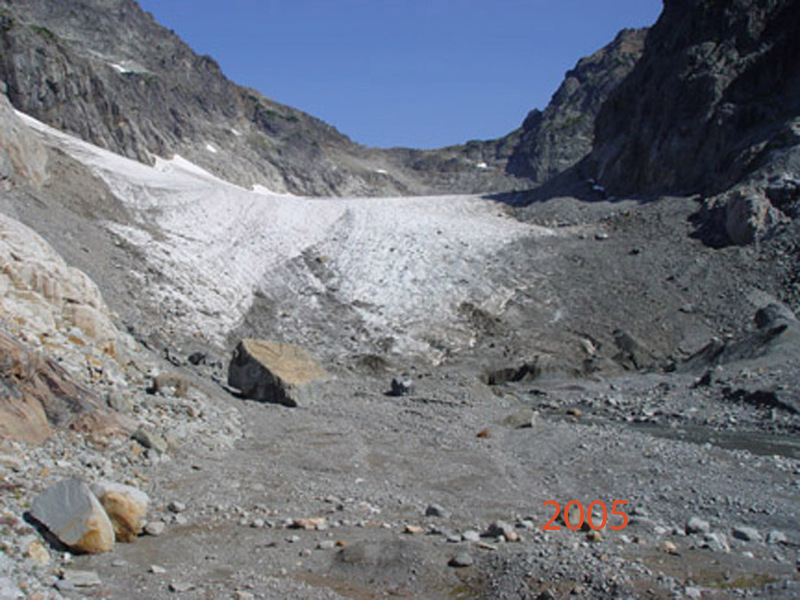 Willman Glacier is a small, steadily shrinking slope glacier. 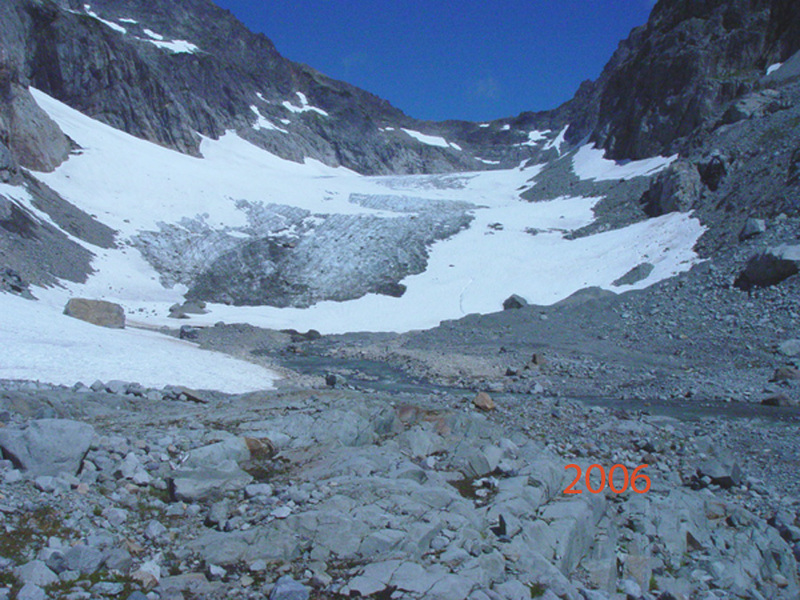 The following pictures give a year by year view of Columbia Glacier within one day of August 1. The best year was 1999, the worst, 2005, 2008 was tied for second essentially with 1991 and 2002.